View presented here are my personal views and are not representative of views of PCA, Porsche or any other entity/person. How The Quality of Our Lives Has Improved With It; Or Has It? Our 8-months old refrigerator stopped working the other day. Still under warranty, I called the manufacturer, using my cell phone and its Bluetooth connection, the frige provided the error code(s) to my phone and I transmitted them to the manufacturer while still being on the phone, and few days later a technician showed up and changed the main computer circuit board. All has been working fine since; apparently the freezer temperature regulator had some bad coding on it, and rather than reprogramming it was easier to change the board. This is our first refrigerator that is this dependent on computers, being able to use technology to quickly identify the issue was a blessing, I am not sure I liked the idea that few chips with code on them controlling all of its operation. It is Thanksgiving weekend, and I have to admit that not having to go to stores to shop for the holiday season is wonderful, but I am also very conscious of all the online transactions with various financial links to my accounts, personal information and my whole life being available at a moment’s request. Similarly technology makes it so easy for me and my family to store information on multiple computers, share our documents, pictures, experiences, and even watch various programs through our Apple TV on what ever media that is convenient at that moment. Regardless of technology I still prefer going to a bookstore, browse, read few pages of books or magazines before purchasing. The atmosphere of a bookstore or library is still a big draw for me, although I realize we are continuing to lose these stores and it does make me nostalgic in many ways. I learned to drive a car when I was fourteen years old with my uncle’s 1957 Chevrolet Bel Air, three-speed gearbox, boat-on-ocean suspension, huge tail fins; what a thrill it was to drive. I think it is still one of the most iconic cars ever. Twenty-six years later I had my first Porsche, a Cayman S with PASM. What an impressive technology PASM has been, 10 mm lower than normal suspension, adjustable with the push of a button to set the shocks for comfort or performance driving. Short of fully adjustable shocks, the best I can ask for in a sports car in showroom condition. The first generation PASM had some minor calibration issues; nevertheless, it was worth its price. I also was very impressed with the Cayman’s stability control system, when driven smoothly it would not interfere with performance, it was just the right dose of safety vs. performance. Today I drive a second generation 997 GT3. PASM has been improved dramatically, it has self-adjusting engine mounts (DEM), and stability and traction control has separate on/off buttons calibrated for performance. The 3.8 ltr engine has both variable intake and exhaust valves that improve fuel economy and performance at the same time. It has this wonderful button that let’s me adjust the volume of the exhaust note as well. I love all of these technologies, and I think they all allow me to enjoy the authentic dynamics of the car at new levels than I could otherwise. Now, try describing the driving authenticity of the 997 GT3 to an owner of a 996 GT3, and just observe their face when they are trying not to laugh out loud to your face; understandably it is just not possible for them. The first of the GT3 family was as raw as they come, no electronics of any sort (still some, but no where near as in the 997 series models), short wheelbase, questionable aerodynamics, a single thin layer of sound insulation, narrower track width, etc. It should not be a surprise to anyone why both the 996 GT3 and the 996 GT3 Cup cars are the darling of track junkies after nearly a decade. People that can truly drive 996 GT series cars are still as fast as 997 GT drivers, and although I cannot fully relate, they claim they have more fun doing it at the edge than in any other car. I don’t doubt them for a second. Last edited by FTS; 12-01-2013 at 10:28 PM. The new models from Porsche, including the 981 and 991 series, have increased electronics. Electric steering systems (no more boiling hydraulic fluid at the track), better EBD (totally independent four-wheel braking depending on sensors’ input), improved PASM, improved dynamic engine mounts (DEM), torque vectoring (PTV), automatic aero dynamics, PDK+, and of course, four-wheel steering (4WS) just to list few. The manual-transmission 991 Carrera S with Sport Chrono + even has heel-and-toe automatically all day long preserving the transmission and synchros. PTV is particularly interesting to me; listening to some drivers who rave about this system, it is a wonder, how in the world we have driven without it all these decades? You turn into a corner and if the G sensors record certain levels, along with a slip angle threshold, a not-so-appropriate steering angle and inappropriate throttle or brake pedal pressures, the computer very cleverly computes that you need some assistance in turning the car gracefully in the direction that is intended. This is a very clever evolution of the EBD; PTV combines the EBD’s ability to individually modulate brake pressure at each of the wheels independently with a lightly tuned and infinitely adjustable electronic rear differential. The result is driving ability that most mortals don’t have using only hands and feet. Of course we pay more for the privilege of having such technology in our latest models that make us look as amazing drivers in the name of increased safety. Add to all this the 4WS system that dynamically modifies the toe angle at the rear of the car, and PDK+ that makes sure you are in the right gear at all times without moving a single finger, we all become unbeatable. Who wouldn’t want this? Track records will be broken, no doubt. Mercedes now has even more technology in its latest models that I thought it was never possible. I won’t go into the details, but suffice it to say that the car even monitors your eye pupils to determine if you need a break from driving, has infrared cameras for better visibility, a system that maximizes brake pressure depending on conditions and front distance sensors detecting objects, on and on. For a luxury oriented Mercedes it is normal I think, but I would not want to take an S class Merc to the track. It was just handful of years ago nearly all of us criticized the Nissan GTR R35 for being too easy to drive with its automatic dual-clutch transmission, multi-level stability, suspension and differential controls, and of course its clever 4WD system biased towards rear-drive. Can we argue that today 991 or 981 provide a more authentic driving experiences than a GTR? One significant safety issue is emerging across multiple brands. For several years now many drivers of sports cars from Porsche (987/981/997/991), Ford (Boss 302), Nissan (350Z/370Z), Subaru (BRZ), Toyota (FRS, Corolla), Lotus (Elise), etc. have been reporting this scary phenomenon referred to as “ice pedal” or “ice mode.” This is the situation when approaching a corner at high speed and driver hits the brake pedal and pedal feels as a brick and bake pressure is reduced significantly or is not available at all. Across the message forums of all the cars I listed above have experienced this dangerous situation. Not every driver experiences it, I certainly haven’t in my 997, but there are enough drivers experiencing the sensation that it has become a real discussion topic. The number of variables involved in the situation is significant that I have not been able to determine much of a common denominator between them. The cars have different ECU manufacturers and codes, each model has different brake systems from master cylinders to calipers; some situations involve left-foot braking, some trail braking, and some straight-line braking. Some drivers claim pumping the brake pedal restores braking forces and pedal feel, others report no real effects. Some drivers and technicians relate the issue to calipers flexing and/or to bumpy surfaces creating knock-back in calipers, but others claim the situation can be reproduced in their cars under any circumstances, some cannot even quite positively describe the circumstances the issue occurs. The configuration of the cars that experience ice pedal range from having modified suspensions, race or street tires, smaller or bigger tire diameters from original and of course different braking techniques. From what I can determine by just reading the experiences, which is not scientific or technical in any way, the only common elements at ABS with EBD function, and automatic emergency braking and/or cars that don’t allow brake and throttle overlap to avoid “unintended acceleration” problem that Audi and Toyota has suffered in the past. It appears to me that when the ECU records a combination of readings from the sensors it tries to intervene in a way to stabilize the car for better control. I am of course completely speculating as I have no clue how these systems are engineered; however, it is probably not a coincidence that the racing version of the ECUs do not exhibit these issues as they lack all those systems, maybe save for ABS. Reality is I don’t think most of us fully understand the problem and cannot even determine if it is an issue that drivers can overcome with a different driving style, or it is a mechanical and/or electronic issue that is outside of the drivers’ control. However, I personally think, this is a relatively new issue we have been seeing since 2005-2006 at which time majority of the electronics that were embedded into the safety systems of the vehicles. Although there is no question that such computational technologies have increased driver safety and vehicle performance, depending on a small group of computer programmers and vehicle dynamics engineers has created unintended consequences over the years as well as removing some of the involvement drivers used to enjoy and we have been gradually losing the authenticity a good sports car extended to us. The E30 and E36 M3, 996 GT2/GT3, the F40 are the bookstores I keep looking to find even if it just to look at the cover, but I hardly ever see them nowadays. 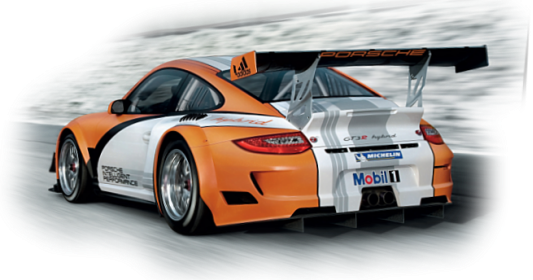 I will stick with the 997 GT3 as long as I am be able, I think it is truly the last semi-analog sports car I care to have, certainly the last GT3 with the Mezger engine. Although my opinion hasn’t changed from what I have stated thus far above, I also acknowledge the difficulties manufacturers have in designing and manufacturing products that continuously excite us, while balancing the need for safety. The power levels of the engines stuffed into the vehicles keep increasing, which generates tremendous excitement. To be able to control such explosive power, literally, manufacturers cannot rely on our confidence that we will be able to control the vehicles under any circumstance. In 2007 Porsche was sued for its alleged involvement in Mr. Ben Keaton’s death while driving a Carrera GT on the racetrack and crashing due to various reasons that occurred at the event and prior. It was alleged that Porsche was negligent by not putting stability control mechanism in the CGT. Eventually all parties settled the issue outside of the courts and I do not know the details beyond that. With Mr. Paul Walker’s and his friend Mr. Roger Rodas’ passing this weekend due to a horrific crash in a CGT, it served me as a reminder as fun as cars maybe we as drivers take on a significant responsibility driving them on public roads. We all have moments in which we feel invincible and sometimes go beyond what is ethically the right way to drive on such roads. Top that off with a society that we built based on litigation that forces manufacturers to put warnings that say “do not iron cloths while wearing them” we all have to accept that car manufacturers have to put the most safety features in their ultimate performance cars as possible. CNN reports "The safety board investigation is focusing on whether pilots have become overly reliant on automation to fly commercial planes, and whether basic manual flying skills have eroded." With the SF airport's Instrument Landing Systems (ILS) being renovated for select runways, the pilot had to land using traditional methods, meaning manually. The pilot was highly experienced with the 747 and was transitioning to the 777 platform (this sure sounds like going from 964 to 991). The pilot had 12,387 flight hours in many other planes (Fox News), but only 43 hours in the 777. So, experience in flying jumbo jet airliners was not the issue. However, without the automatic glidescope to guide the pilots on rate of decent, which 1,000 ft/min. or lower is the norm or advisement, the Korean 777's vertical speed was 1,400-1,500 ft/min. Automatic throttle systems were off on the plane, so the systems could not compensate automatically for the higher-than-advised vertical decent rate to keep the plane at or below 1,000 ft/min rate, while also maintaining air speed above 137 knots (~158 mph). So eventually the plane dropped to 103 knots (118 mph) just seconds before hitting the ground. The minimum stall speed for a Boeing 777 is 130 mph (although varies with configurations, weight, wing span, etc.). Of course every modern plane have mind-boggling electronics, but they are also all backed up by mechanical systems. Today planes can take off and land virtually with the push of a button, entering variables for given airports' requirements, load and other environmental conditions. However, without the flight basics learned and practiced by pilots (drivers), those mechanical back up systems are apparently not very useful. I don't think we are that reliant on electronics in cars today, we still drive them. But do we really? Adaptive cruise controls, emergency braking systems, torque vectoring, infinitely adjustable electric steering systems. stability control systems that allow you to drift at a preset drift angle... Yes, I am pretty sure we still drive them.